HUGE PRICE REDUCTION, OWNER MOTIVATED! 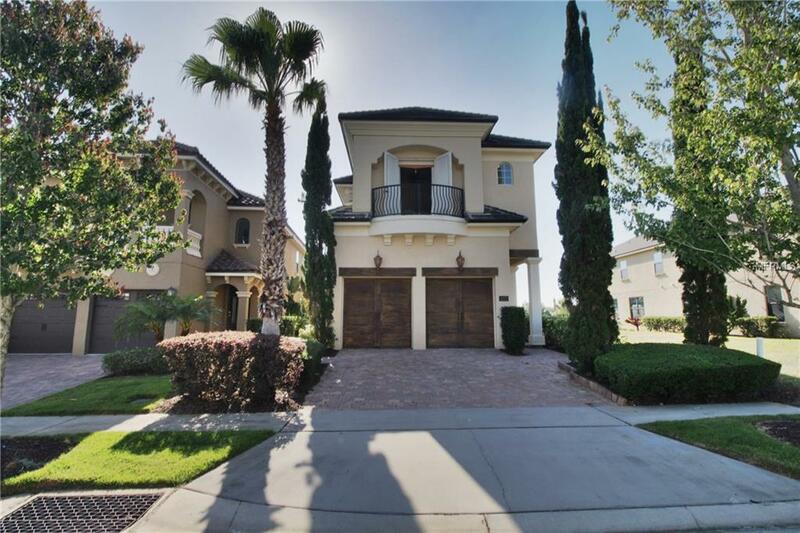 Exquisite, Elegant home located in Reunion Resort, west side. Built to be a model, this home has all the bells and whistles that some of the newer homes dont have at this price: elevator, model grade crown molding, 12-foot ceilings, 5 Victorian baseboards throughout, custom upgraded granite, cabinets and top of the line appliances. The first floor has a gorgeous rotunda entrance with a formal living and dining room and butlers pantry. Inside is pure elegance, as you walk pass the glass-encased wet bar, and fridge; then the home opens up to a more modernized and open floor plan leading you into the gourmet kitchen and living area where 10 foot sliding glass doors open up to the back area with a beautiful built-in outdoor kitchen, fireplace, tv, fridge, sink and a remote roll down screen on the back patio. It doesnt get any better than the golf view of the Nicklaus 6th tee box in the background while you go for a dip in the jacuzzi or a swim in the pool. This home is full of luxury but timeless in style. Calling it a night, take a ride up the elevator too two master suits, both with tray ceilings, the main master bath has onyx tile and jacuzzi tub, extra-large shower with two shower heads, and coffee bar, French doors lead out to the patio overlooking the tee box and at night you can see champions gate fireworks from your own patio! Perfect for a primary home, or rental home, sold furnished!